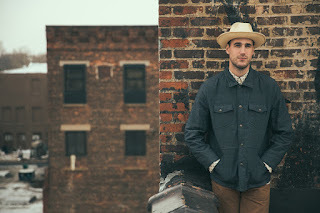 If It's Too Loud...: Rayland Baxter - "Yellow Eyes"
I first became aware of Rayland Baxter back when he was playing Newport Folk Festival in 2013, and I just couldn't get into him. I kept trying and trying to get into his album, but I just couldn't. It just didn't speak to me, and somehow seemed almost like a novelty record. With the release of the first song off his upcoming album, everything has changed. "Yellow Eyes" is fantastic. It's indie folk/country at its absolute apex. Fragile and catchy vocals, laid back instrumentation with a beautiful guitar riff along with the chorus, the perfect amount of polish on the production... this song would be the hit of the summer if there was any justice in the world. With one song, Rayland Baxter has turned me into dismissing him to a raving fan. Imaginary Man will be out August 14 on ATO Records. You can listen to "Yellow Eyes" below. For more information on Rayland Baxter, check out his website and Facebook or Twitter. His current tour dates are also included below.